Jeremiah Campbell, Say What? 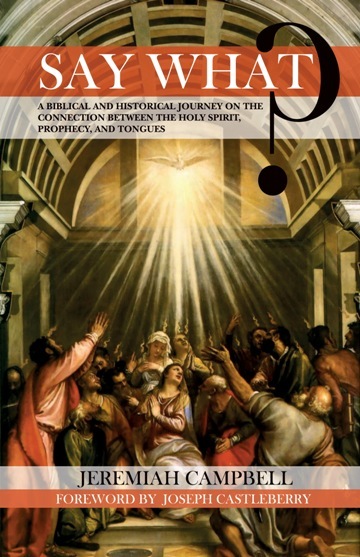 A Biblical and Historical Journey on the Connection between the Holy Spirit, Prophecy, and Tongues (Wipf & Stock, 2018), x + 122 pages, ISBN 9781532646997. Jeremiah Campbell (DMin, Talbot School of Theology) has written a very accessible volume in defense of connections between tongues as prophetic speech and the Baptism in the Holy Spirit. He offers what would be deemed a Classic Pentecostal interpretation of tongues as initial physical evidence of the Baptism in the Holy Spirit and presumes this throughout his readings of both Scriptural and historical testimonies. This volume is written to address issues which outsiders might have regarding the connection of tongues to the Baptism and to offer answers to objections regarding such. Campbell opens with his own brief personal testimony (in good Pentecostal fashion) of the Baptism in the Holy Spirit. He then offers a five part “journey” (essentially an apologetic journey) with brief coverage of: (1) the role of the Holy Spirit in the Trinity, (2) the filling of the Spirit in the Old Testament (he prefers “Covenant”), (3) the filling of the Spirit in the New Testament, (4) the filling of the Spirit in Church history, and (5) the filling of the Spirit and Pentecostal renewal. The first part presumes that a Trinitarian reading will give appropriate direction to all that follows. It reads a number of Biblical texts as indicating Trinitarian beliefs and confessions. While such might be well received by individuals already in agreement with Trinitarian beliefs the arguments are a-historical in context (with the specific use of “Lord” in the confessions of Paul, on which one might examine the extensive work of Gordon Fee’s Pauline Christology: An Exegetical-Theological Study). Further, it is a curiosity that Campbell does not properly represent the use of YHWH in the English translation he makes use of (NIV1984) which indicates the name as LORD. In the second part, Campbell offers a brief argument for the connection between prophetic speech and the fullness of the Spirit. The “fullness” is presumed in the texts examined though it may simply be that he has chosen this as the leading metaphor to identify the various terms regarding Spirit endowment/experience. This connection to prophetic speech is likely one of the best offerings in this overall volume (which follows the work of Roger Stronstad’s The Prophethood of All Believers). While Campbell examines many of the texts of the OT which use the Hebrew ruah (“S/spirit”), he selectively offers only those deemed connected to prophetic speech. Thus, for example, he does not address the Spirit upon Joseph (as indicated by Pharaoh) or Bezalel and Oholiab. The former would seem to fit his overall trajectory in this chapter. While there are numerous gaps in his argument regarding the OT (which presuppose a Pentecostal interpretation apart from literary or historical interpretations), he is to be commended in continuing the work of Stronstad regarding prophetic speech in relation to tongues-speech and Spirit baptism. One caveat would be to note that Spirit experiences are not limited to prophetic speech, but include prophetic acts (such as Ezekiel’s mock Jerusalem, tongues of fire, or Paul’s belt). The third part attempts to reconcile the oft noted differences between the Lucan theology of the Spirit in Luke-Acts and the Pauline. Many may be unsatisfied with his attempt, but it is commendable that he should address such as a hurdle to appreciating the preferential treatments of a given Biblical voice as determining how one might read other voices in the NT. Notable gaps in his reading of the NT would be Spirit endowment in the writings attributed to John which offer yet another distinct voice to the NT witness of the experience/s of the Spirit. 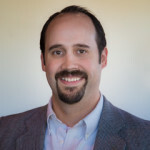 About the Author: Rick Wadholm Jr., Ph.D. (Bangor University, Wales, UK), Associate Professor of Biblical and Theological Studies and Vice President of Academics at Trinity Bible College and Graduate School (Ellendale, ND). Rick has pastored several rural congregations in North Dakota and Minnesota for 14 years and is ordained with the Assemblies of God (USA). 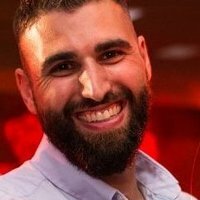 He is a regular speaker for churches, camps and conferences. He enjoys reading and discussing theology and Biblical Studies, most particularly the works of Dietrich Bonhoeffer and Karl Barth. Rick is an active member of the Canadian Society of Biblical Studies, the International Bonhoeffer Society, Pentecostals and Charismatics for Peace and Justice, the Society of Biblical Literature, the Society for Pentecostal Studies, and currently serves as the Executive Editor of The Pentecostal Educator published by the World Alliance for Pentecostal Theological Education. He has helped found the Society for Pentecostal Studies Student Caucus and the ministry of Doctors of Pentecost. He also enjoys blogging on topics of translation, Biblical studies, pastoring and theology by contributing to four different blogs—his personal blogging adventures hosted at rickwadholmjr.wordpress.com. Facebook. Twitter.